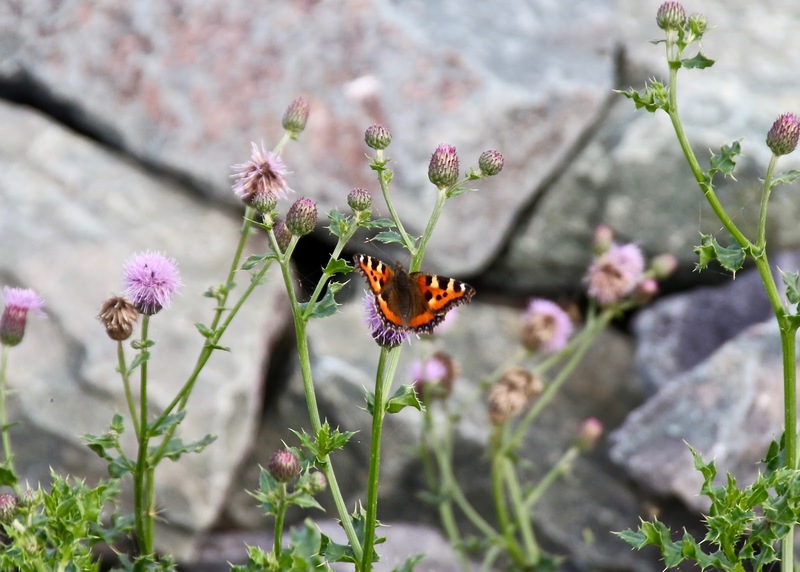 At the FoTR AGM earlier this year it was agreed that, after 20 years dedicated work, the Friends would be closing as an independent charity and handing over its local responsibilities to Herts & Middlesex Wildlife Trust (HMWT). 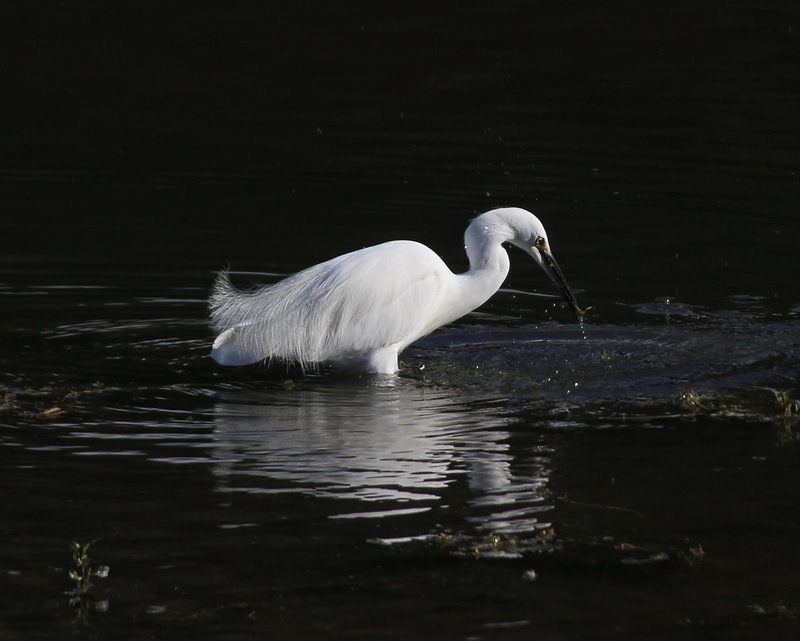 The Wildlife Trust has worked closely with FoTR over the years and it was largely due to the local leadership of the group that HMWT was able to formally take over management of the Tring Reservoirs Nature Reserves in 2012. We are confident that the Tring Reservoirs Nature Reserves are in the best possible care with The Herts & Middlesex Wildlife Trust. 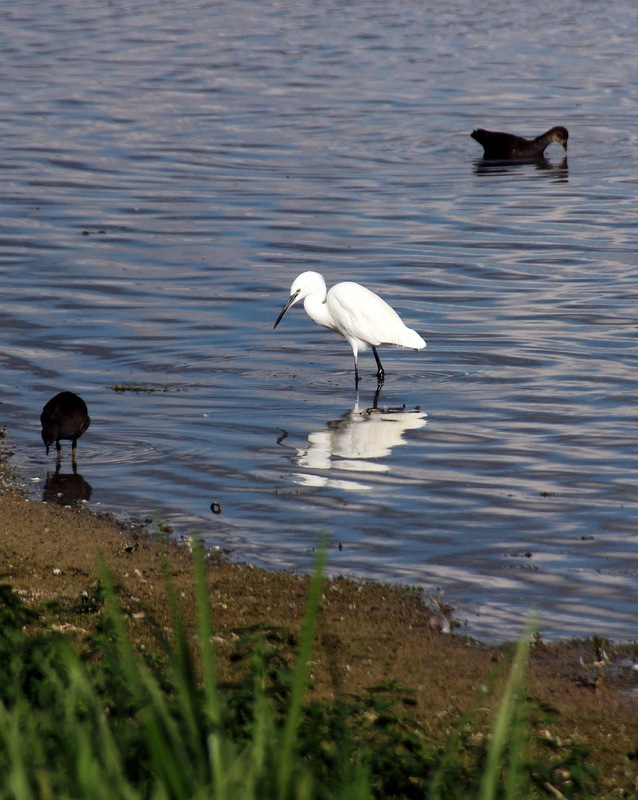 We would like to thank everyone who has helped, supported and championed the Friends of Tring Reservoirs for all these years and hope they will continue to support HMWT. James Heron - Wilstone Yesterday. 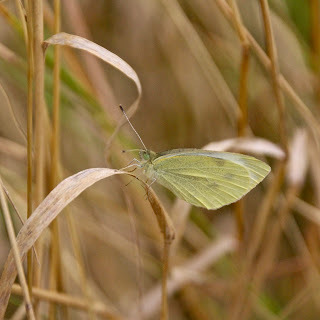 Roy Hargreaves - Today was the designated WeBS count day and obviously the weather was much better that Saturday’s. I started the count at the Wilstone hide and from there I could see five Pintail (two adult males), a male Red-crested Pochard, the Greenshank and four Dunlin. 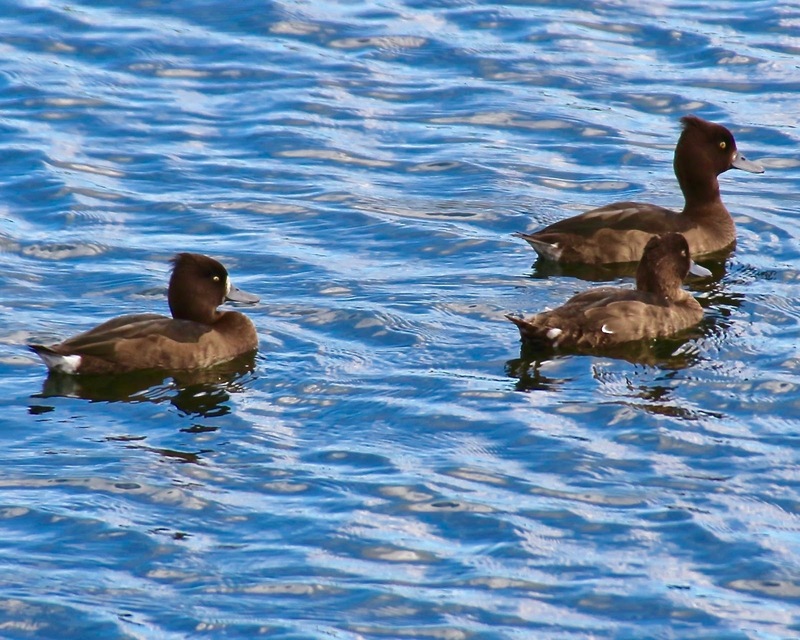 I couldn’t see the Ferruginous Duck and I am not aware of anyone else seeing it all day. From the jetty I saw two male Goldeneye and two redhead Goldeneye off to the left of the jetty and all together at one point. 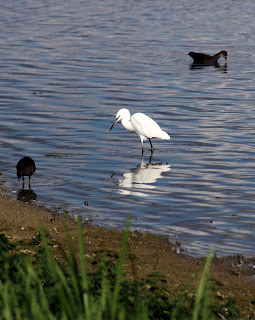 Tringford had a Little Egret as did Startops. I finished the day at Marsworth Res and heard a Cetti’s Warbler there and saw up to 80 Corn Buntings going to roost, but I did not systematically count them so this figure is very approximate and one of the ringers might have a more accurate count. Also there was a Bittern in the Bucks reedbed again and it sat out on the front of the reedbed and showed pretty well. 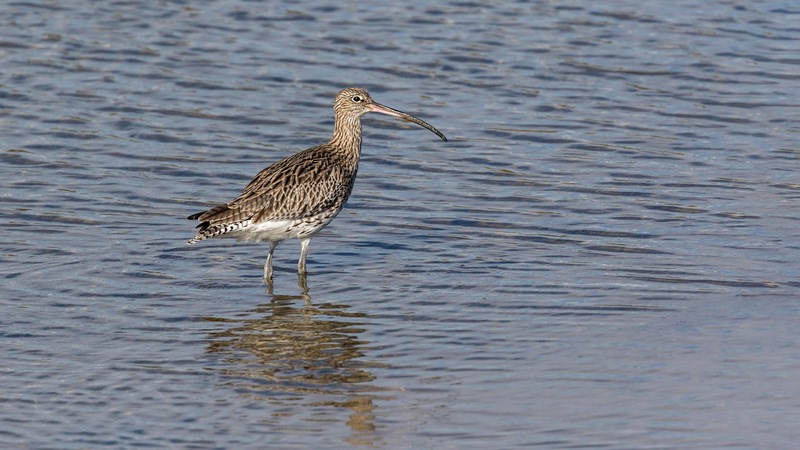 The count didn’t yield any major surprises and the total number of birds was just over 2600 this time. As the water level is currently rising it will be interesting to see the changes in December. Roy Hargreaves - I went out late morning when the rain slowed down. 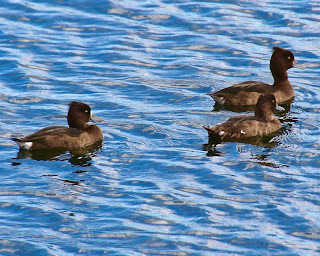 Starting at Wilstone the Ferruginous Duck was still in its usual area. Five Pintail were off to the right of the hide, as was the Greenshank before it joined three Dunlin on the left of the hide. 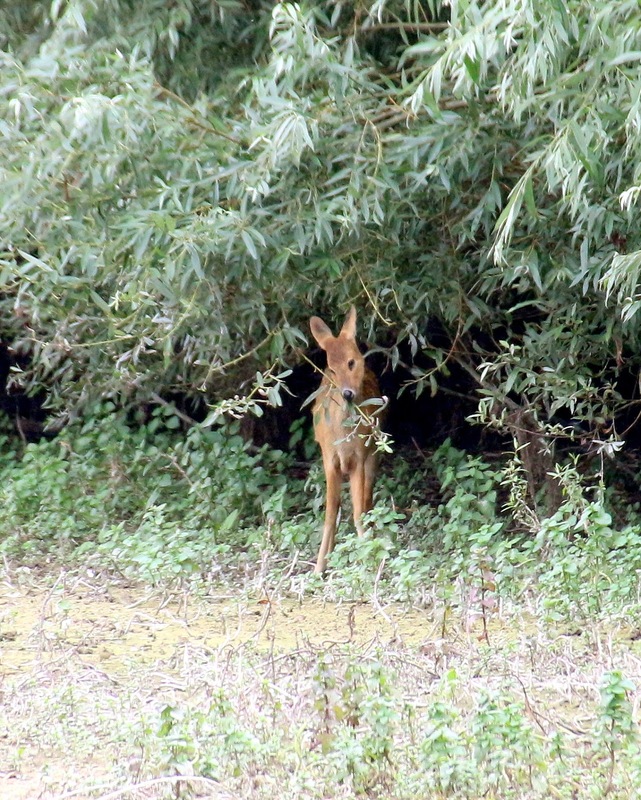 I also saw a Woodcock fly out from by the creek and over the reedbed into the trees at the back. The male Goldeneye was still about and flying about. Roy Hargreaves - This morning the Greenshank was well off to the right of the hide, as were five Dunlin, and did walk out of sight into the bay while I was there. 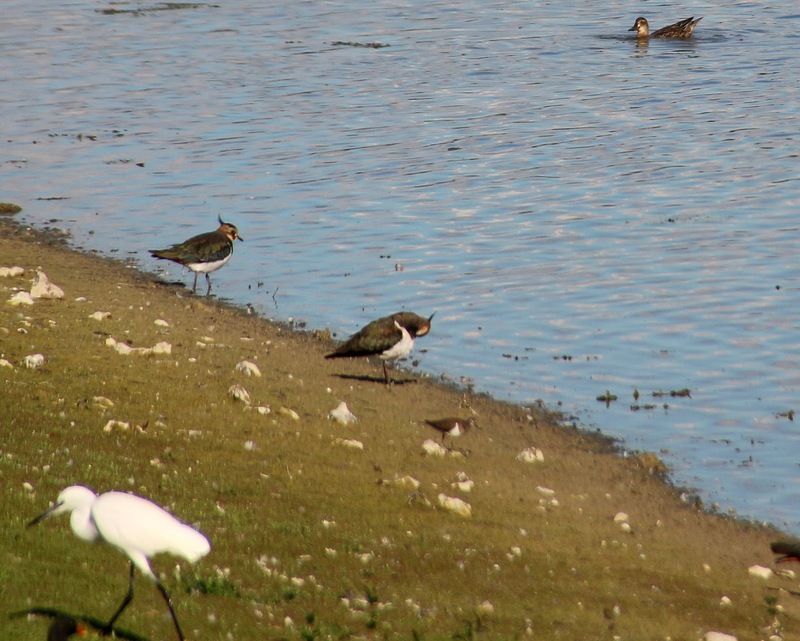 Yesterday the Greenshank was off to the left of the hide and much easier to see, as indeed were the five Dunlin. 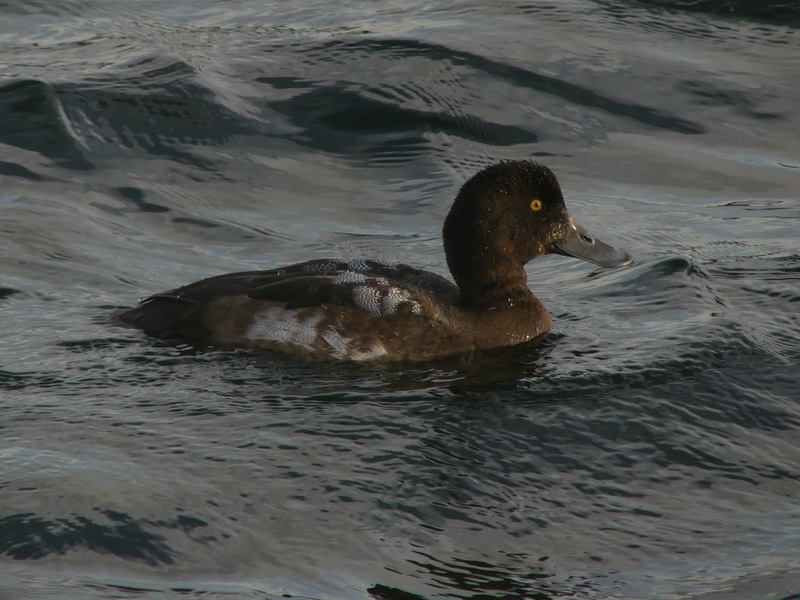 First thing the male Goldeneye was with two redhead Goldeneye just off the jetty and gave itself away by calling. The 1st winter drake Ferruginous Duck was in its usual area diving frequently. I didn’t see the Garganey this morning but the early morning sun was not terribly helpful when looking for it. Also on my walk I have been seeing a roosting Tawny Owl in daylight – a rare treat. Sally Douglas - Wilstone am. 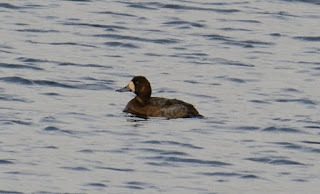 Thought it was time to catch up on Tring Reservoirs birds, having been from the Scillies to Kinross recently. I was amazed at the low water level at Wilstone making it fairly difficult to get good photo's of the Ferruginous Duck. Watching it preening I clicked the button and, by sheer luck, it happened to stand up at that moment and stretch its wings, showing the large white wing bars. 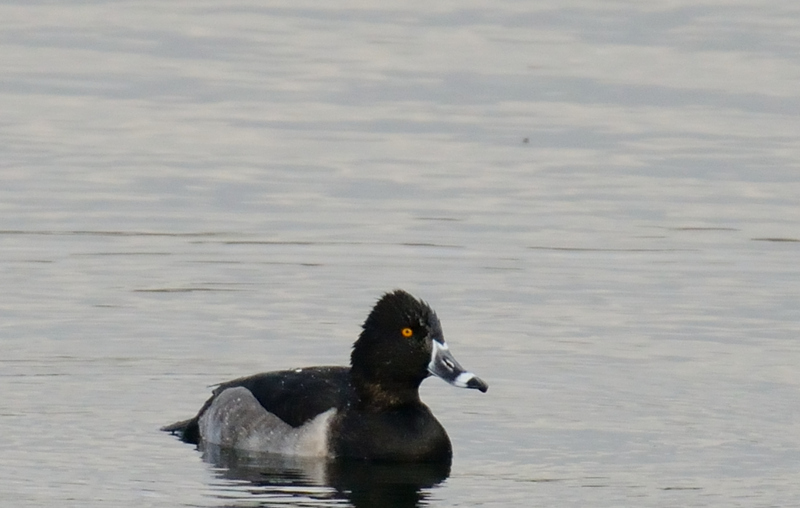 According to reports the Ring-necked Duck wasn't showing at Startops but, hopefully, it will reappear and I can catch up with it soon. 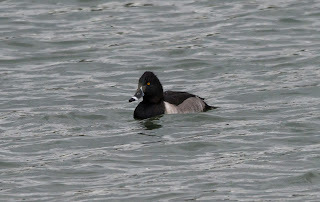 Roy Hargreaves - Finally I managed to be at Wilstone on a sunny morning with the Ring-necked Duck being reasonably co-operative. 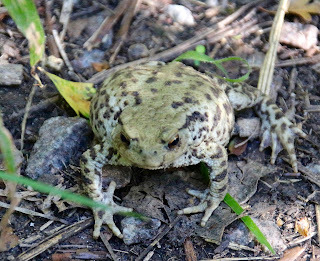 These are digi-scoped images so I cropped them a little to remove vignetting. 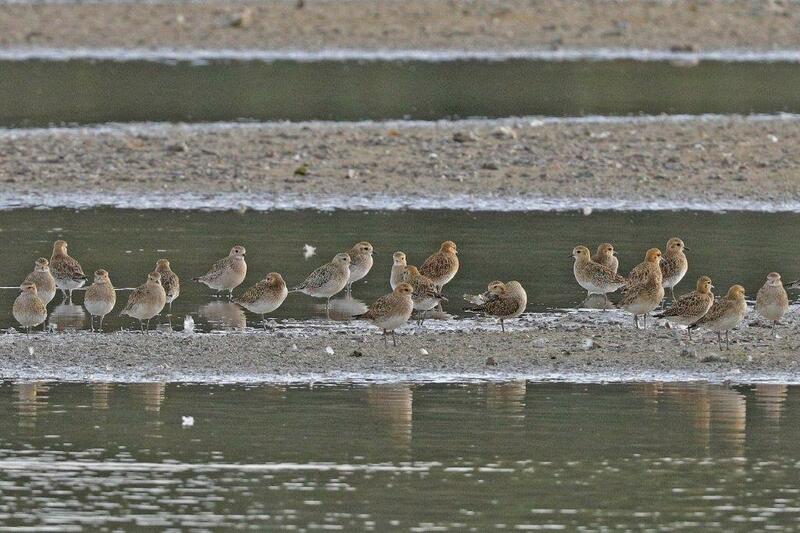 The Ferruginous Duck was also still in its usual area and a couple of Dunlin were with the Golden Plover. Northchurch Tesco Express, Berkhampsted Tesco, Tring Tesco. If you are in the area and shopping in Tesco, please vote for our project. The project (out of three) with the most votes will receive £12,000, the runners up will received £10,000 or £8,000. 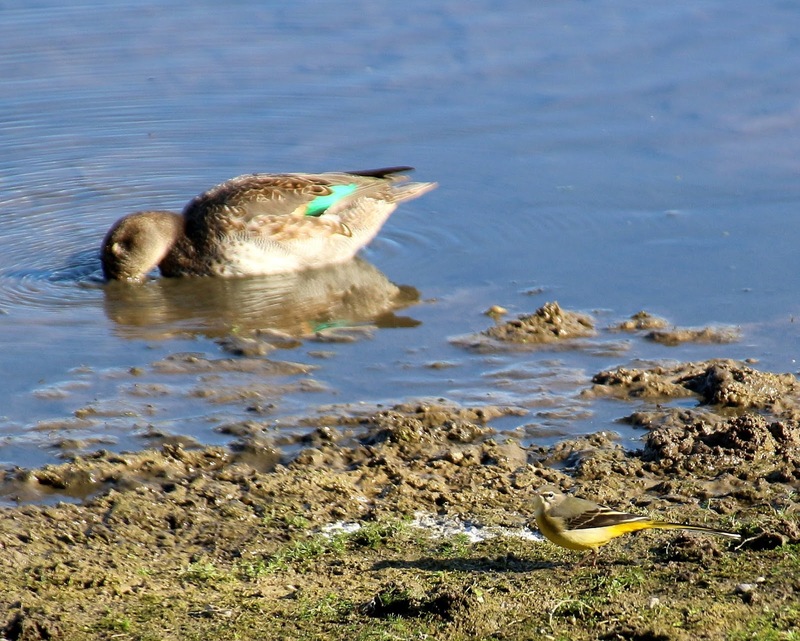 Ian Williams - Tempted to say the best of the bunch was the very showy eclipse drake garganey which spent most of the morning close in to the jetty. 9 red-crested pochard (6 male), 4 dunlin, at least 16 snipe, 4 pintail (including a drake) and 3 Egyptian geese were the main supporting cast on Wilstone. 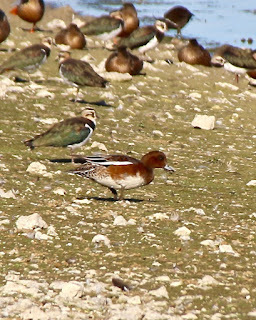 Dave Hutchinson - Managed to see the Ferruginous Duck at Wilstone this afternoon. It was on the rocks viewed from the car park bank. 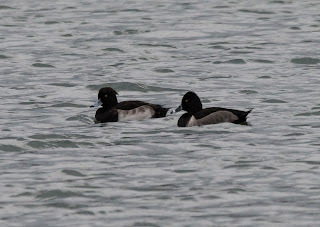 Moved on to Startops where the Scaup (well one of the reported pair) was fairly distant but the Ring-necked Duck showed well from the west bank in the Herts section. 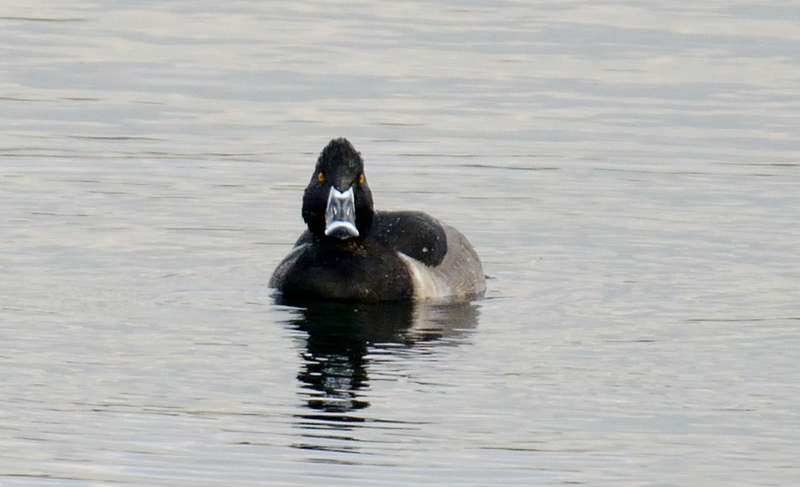 Roy Hargreaves - Today the Ring-necked Duck was on Wilstone again and off the jetty, three Red-crested Pochard were on Wilstone and two on Startops. I saw one Jack Snipe on Wilstone and also a Pintail, two Water Rail and 13 Common Snipe. The Scaup was very close in as well for a change. Ian Williams - Attached a record shot of the 5 whoopers Roy found the morning on Wilstone. 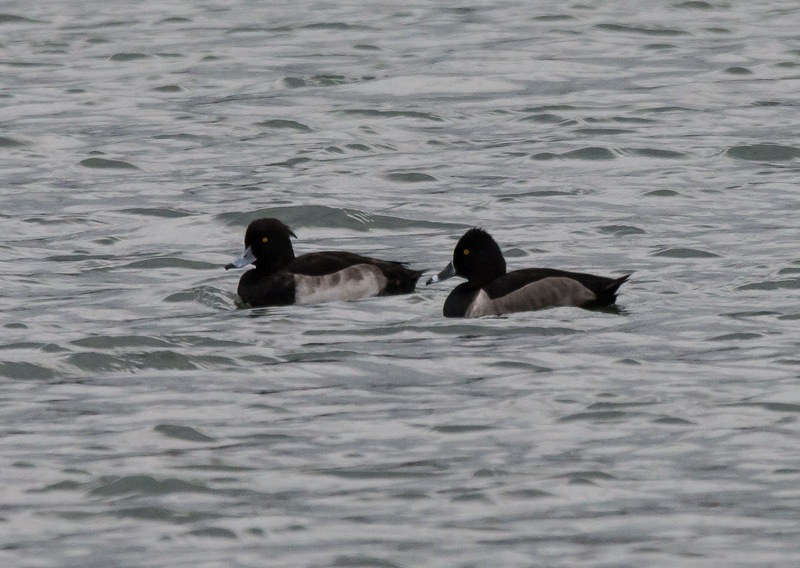 Negative news on the ring-necked duck this morning made me check Startops tonight where I found it about 50m off the west bank (not SE corner as I put out on the pager). 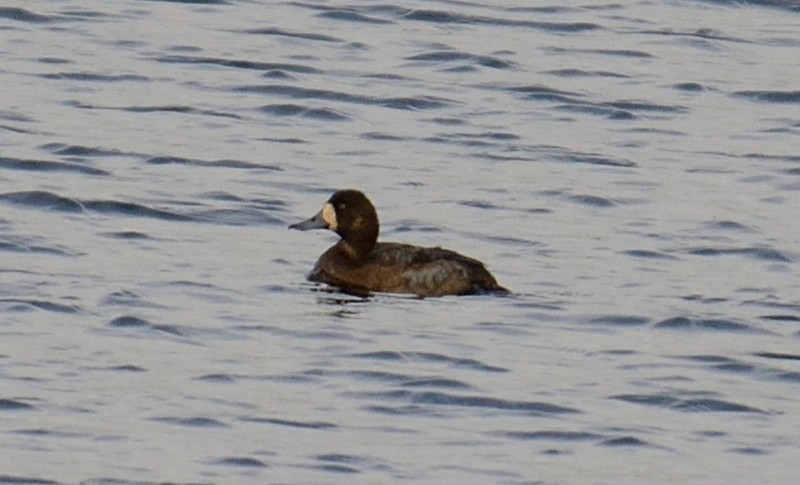 The drake scaup was in the NW corner fairly close in. 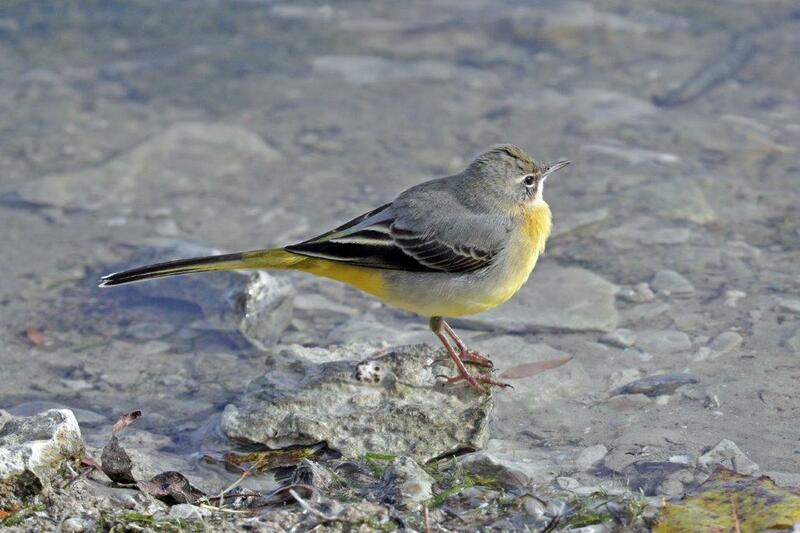 Also heard a brambling along the west bank but could not see it. Still 2 jack snipe in the reed bed at Wilstone. 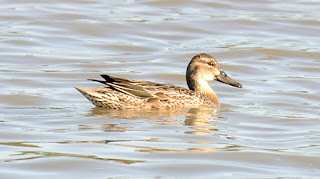 Roy Hargreaves - This morning I again started at the hide and counted seven Pintail from there. 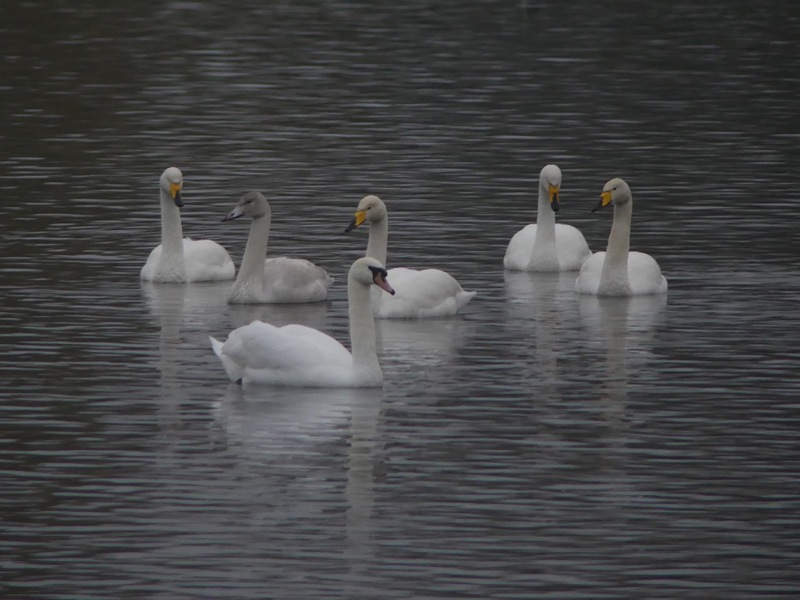 I checked all the close wildfowl first and when looking further out noticed five Whooper Swans. There has been a mini-influx of Whooper Swans in the south with birds turning up in Dorset, Buckinghamshire and at Rutland Water so to my mind these birds are clearly wild. I then walked round to the overflow and took photos of the swans. 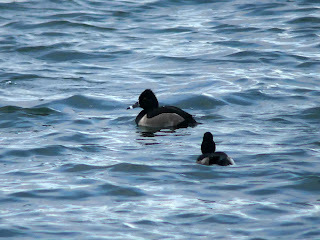 Moving round to the jetty several people were looking for the Ring-necked Duck and we couldn’t find it despite a thorough search. I did suggest to the others it was probably on Startops but don’t know if they looked there. While looking for the Ring-necked Duck I also watched the Swans fly off at about 9:20 and head off south-east. From the jetty I also saw seven Pintail and these may have been different birds so there could have been fourteen in all. Ian Williams - Thanks for the call Roy. 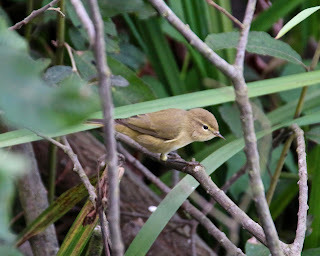 I was getting worried when there was negative news early afternoon but I re-found it about 30m reed bed side of the jetty not long after turning up mid afternoon. 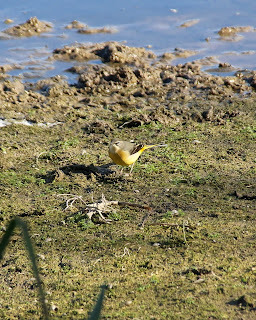 It continued to show in the area for the rest of the day ranging as close as 30m from the bank to the middle of the barley bales, no more than 100m away at any time. It certainly dives deep at times as can be seen from the mud at the top of the bill. As you said in your voicemail it surely must be the same bird I found at the start of last October returning. Hopefully it will not leave on Bonfire Night this year! Roy Hargreaves - This morning I walked down to Wilstone Res as usual and started from the hide. Scanning round I noted three Pintail and then heard higher-pitched geese calling quietly and looked up to see a flock of Barnacle Geese. 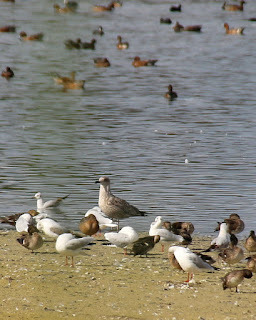 Initially I counted 21, but on checking my photos I realised it was actually 23 birds. 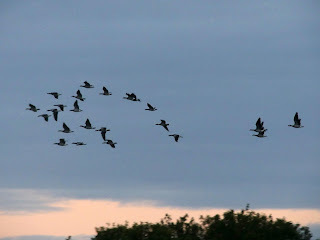 They flew round but never actually landed or settled on the water and I last saw them flying off eastwards. I also saw two pairs of Red-crested Pochards off to the right of the hide and Common Sandpiper was still about. I headed round to the jetty and could only see one Jack Snipe but didn’t have much time so had a quick scan of the duck with my binoculars and noticed an eclipse male Ring-necked Duck fairly close in. Although in eclipse it still had many of its distinguishing features and I quickly eliminated hybrids. I then had to head home for a conference call for work so had to put out the news on my way back. On the way back I heard a Little Owl in the Dry Canal area. Later Ben Miller informed me that 23 Barnacle Geese had been seen over Barnes WWT and indeed I checked their website and they were over the site at 11:20. 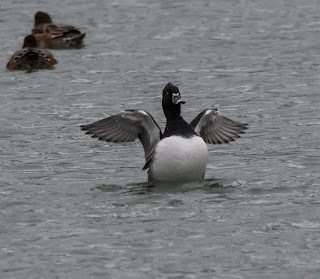 Normally I would assume that Barnacles we get at the reservoirs are from the feral Bedfordshire population but it would seem unlikely in this case and I think it is reasonable to assume the same birds were involved in both sightings and they are wild bird. 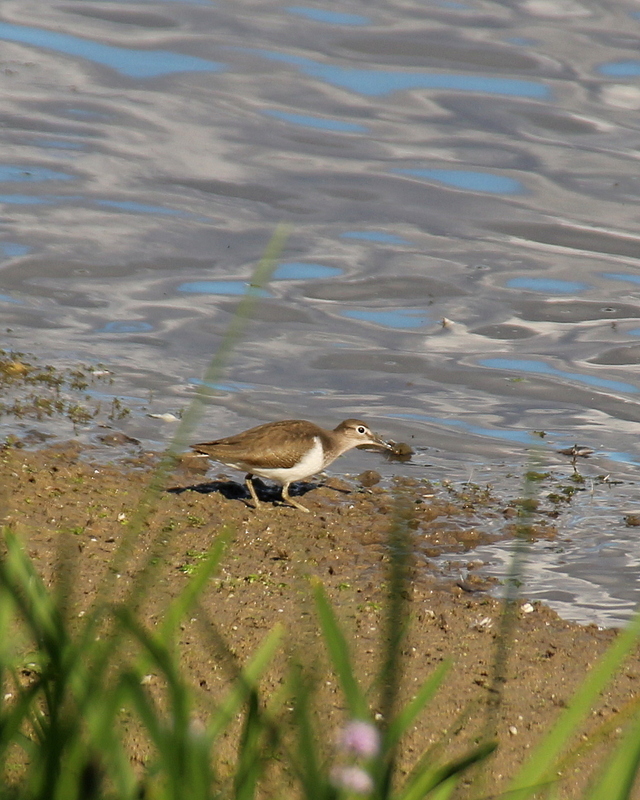 James Heron - Pochard, Golden Plover, Sandpiper, group of Snipe and unknown insect! 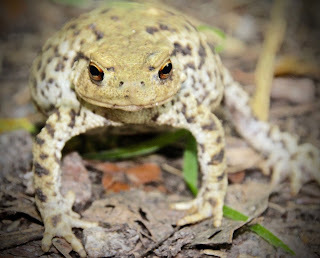 Mike Nott - Had a walk round to the Wilstone hide this afternoon. Pretty quiet and no rarities but the Golden Plover were near the Drayton Bank (see image) and several grey wagtails (see image) were busy around the waterline on the car park bank. Three snipe from the hide under the trees on the spit. Water levels continue to drop with waterline now half way to trees on spit in front of hide. 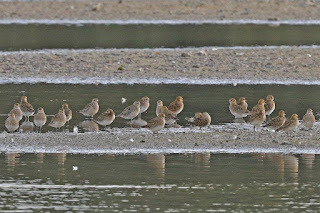 Roy Hargreaves - This morning was very wet and in the hide at Wilstone Reservoir all of the benches were soaking wet. So it might be an idea to start closing the hide flaps again. I started the count from the hide and then moved to by the overflow. From the overflow three Pintail and three male Red-crested Pochards were visible. From the jetty I also saw one of the Jack Snipe and it was closer to Cemetery Corner – presumably because the slight change in water level made the section of reeds it was in the right distance from the water’s edge. 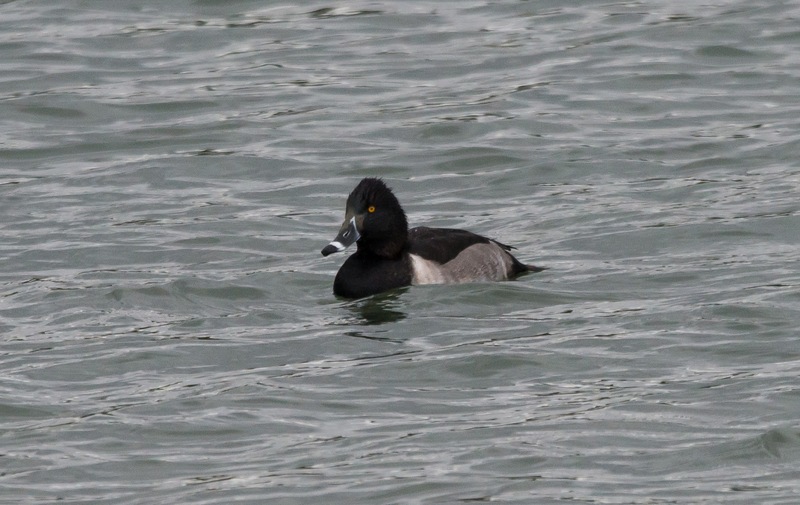 The smaller reservoirs had standard stuff apart from an eclipse male Scaup, which David and myself assumed was probably the bird that turned up on Startops as a 1st winter bird as it was in the same area that bird favoured. In the end I counted 3,453 birds – of which 939 were Coots and 732 were Teal. Phill Luckhurst - Two from Startops today. Roy Hargreaves - Since it was foggy this morning I popped down to Wilstone Res this evening instead. From the hide I saw four Pintail and two male Red-crested Pochard among the numerous duck and thirteen Little Egrets scattered round the fringes. 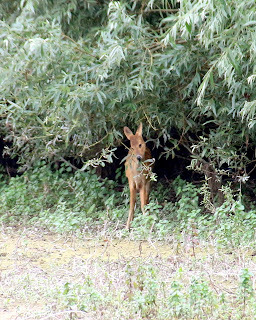 From the jetty I scanned the reeds and saw at least two Water Rails. While scanning a Moorhen flushed a Jack Snipe into the open, which was a pleasant surprise. I kept on scanning and in the end counted four Jack Snipe on several occasions. They were about midway along the reed bed between the east corner and the causeway used by the ringers. 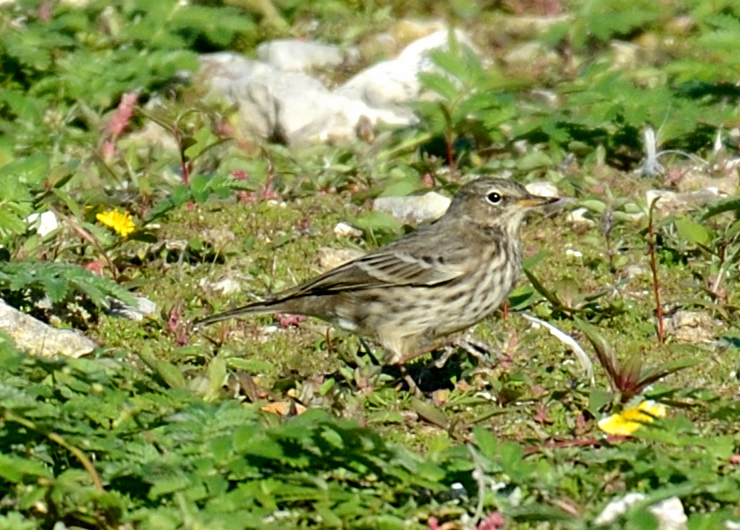 It is actually a well-marked Scandinavian Rock Pipit. It is too heavily streaked on the underparts, particularly on the rear flanks, and the streaks are too diffuse. 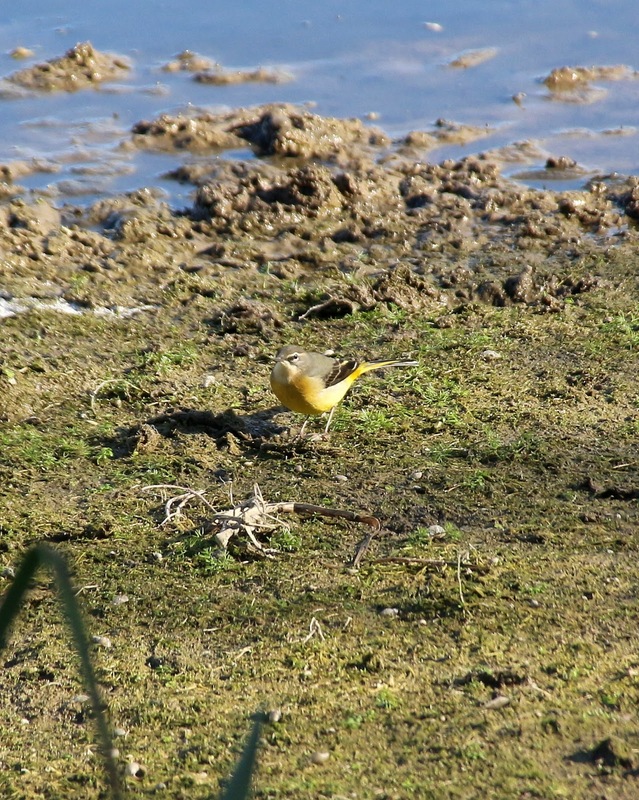 Also the underparts base colour should be pure white rather than the pale yellow shown by this bird. The wing-bars aren’t white but are grey-tinged. Also the mantle is the wrong colour being grey-tinged rather than the warm brown I would expect for a Water Pipit in October. Littoralis at this time of year can show a pale supercilium. 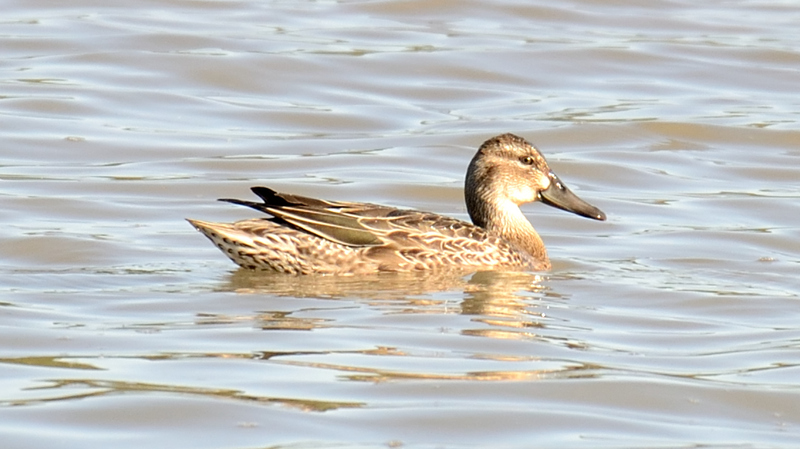 David Hutchinson - Not much change at Wilstone since I was last there a few days ago but just one Garganey seen and no Pintail. 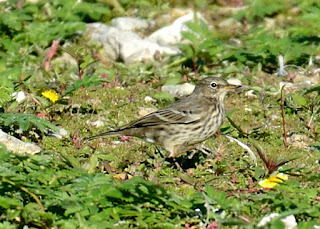 Pipit in front of hide had light supercillium which looked more obvious in the field so assume Water Pipit although happy to be corrected. Johne Taylor - Clouded Yellow at West Bank of Tringford this am. Plus lots of red admirals and commas. James Heron - Wilstone today, Butterflies and dragonflies still present, Sandpiper,Dunlin, Snipe,Gadwall, lots of Teal, Lapwings. 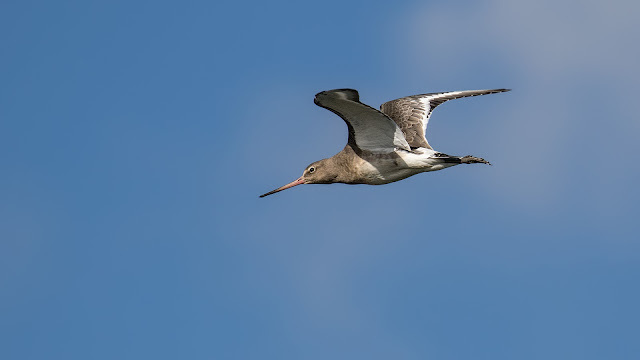 James Heron - A few from Wilstone this afternoon.